There once was a grandpa who lived with his family. As Grandpa grew older, he began to slobber and spill his food. So the family had him eat alone. 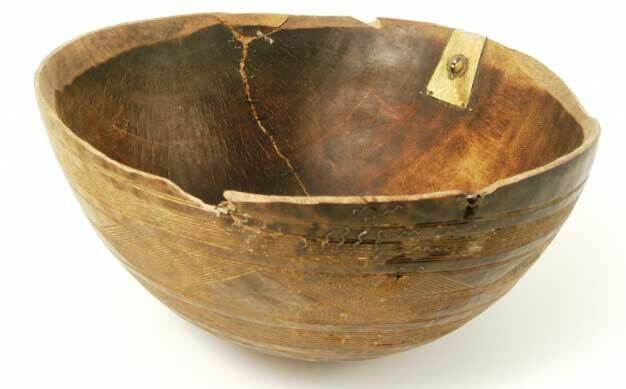 When he dropped his bowl and broke it, they scolded him and got him a cheap wooden bowl. Grandpa was so unhappy. Now one day the young grandson was working with wood. “What are you doing?” Mom and Dad asked. “I’m making a wooden bowl,” he said, “for when you two get old and must eat alone.” Mom and Dad then looked sad and realized how they were mistreating Grandpa. So they decided to keep quiet when he spills his food and to let him eat with the family.